House Republicans emerged from two hours of talks with Vice President Mike Pence tonight without much to show for it — but nobody was ready to kill off the Trumpcare revival, either. Instead, they're going to meet again tomorrow, perhaps with legislative text, which they didn't review at this meeting. 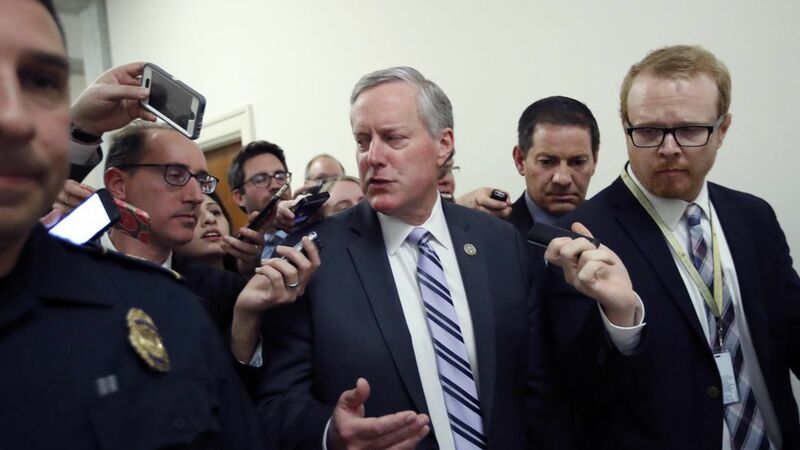 "There were no agreements tonight," Freedom Caucus chairman Mark Meadows said after the meeting. What they talked about: They spent most of the time discussing what to do about the Obamacare insurance regulations, which are the biggest sticking point. The group mostly agreed on the need to beef up money for high-risk pools to cover people with pre-existing conditions, according to Republican Study Committee chairman Mark Walker.